Holidays to Frankfurt up to -70% off To take advantage of these offers, join now for free! Plan a luxury holiday to Frankfurt with Voyage Prive and explore a city with a rich history - and even brighter future. 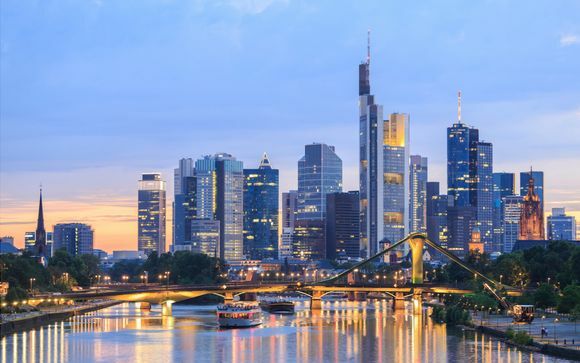 Frankfurt - officially known as Frankfurt-am-Main - is one of Europe's most significant financial and technological hubs, and is one of Germany's most modern cities. Known as the home of the European Central Bank, it's a hotspot for business that is also home to some of Germany's cultural gems, and is Germany's most international city. 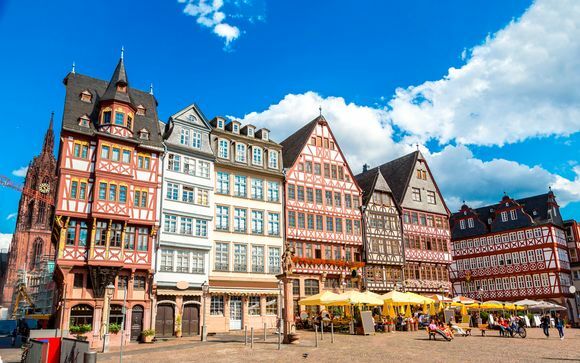 Frankfurt's international importance belies its size - it is a completely manageable metropolis, with most major sights within walking distance of one another. An excellent city to wander around, Frankfurt is one of Germany's most exciting and dynamic holiday destinations. 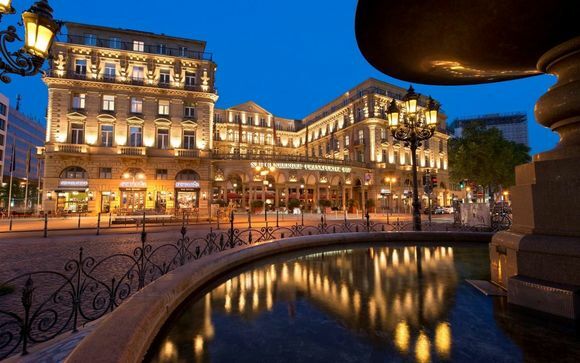 Our expert knowledge of the city and its accommodation mean that you'll find yourself perfectly placed to explore with a luxurious place to rest at the end of the day. Frankfurt caters to every cultural and historical taste thanks to its unique blend of districts and sights. History buffs will find plenty to explore in the city's Old Town, painstakingly reconstructed after damage in the Second World War and restored to its former glory. Home to the city's world-famous 15th-century town hall, the Römer, the area is replete with museums and historical landmarks. Those with literary interests can delve into the past of Goethe at the famous Frankfurter's house, which has become a museum and one of the city's most popular sites. Music fans will find a full program of events at the stunning Old Opera House, which transports visitors back to Frankfurt's golden age of culture and offers performances ranging from opera to pop and jazz. 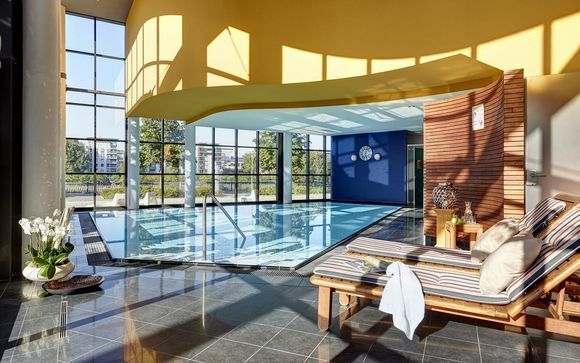 Those more interested in recent history and the present can explore the city's more modern districts, visiting the Main Tower's observation deck and restaurant and Frankfurt's modern art museum. Boat tours of the city, run regularly, offering visitors to take the whole melting pot in from the river in style. When the weather is right, the city's famous parks offer hours on end of beautiful walks, as well as natural swimming in their lakes. The culinary traditions of Frankfurt are no less a blend of influences than the city itself. Situated in Germany's Hesse region, the city is a fantastic place to sample Hessian cuisine. A mix of northern and southern German styles, Hesse is famous for its cider and wine - while Frankfurt is known for its 'Green Sauce' - made from herbs, cream and eggs and served with traditional meat and potato dishes. As an extremely international city, Frankfurt also offers food from around the world, making it an ideal destination for the curious food lover. 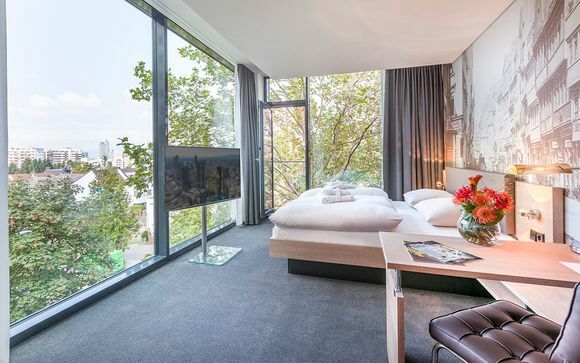 Register with Voyage Prive and gain access to our selection of luxury hotels and residences in Frankfurt, backed by years of experience and expert knowledge that guarantees a quality stay. Discovering one of Germany's most dynamic cities at exclusive last-minute prices is at your fingertips.